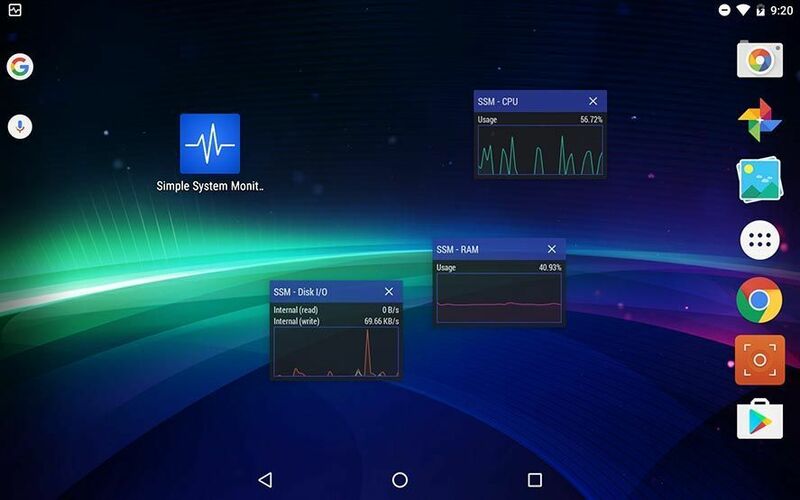 Monitoring tools are a good way to analyze what’s going on with your smartphone when some sort of problem arises. 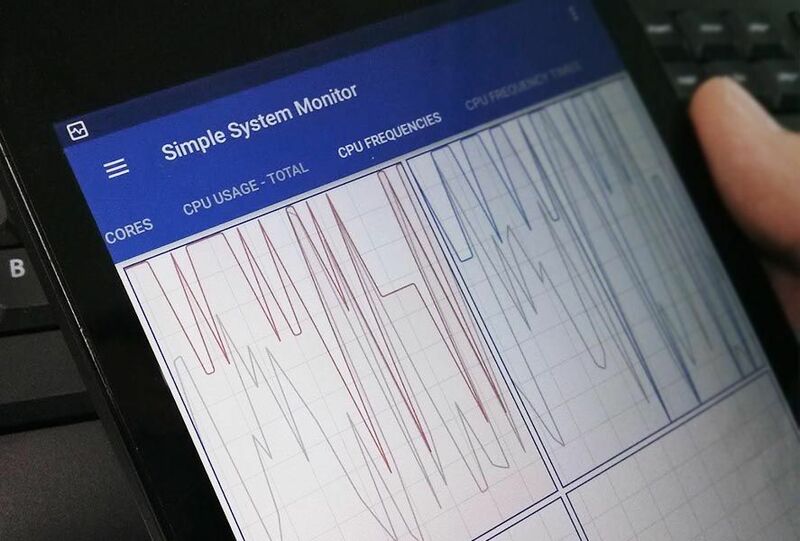 Although there are lots of apps for that purpose, few are as complete and concrete as Simple System Monitor, which lets you view RAM consumption for open processes in real time, check device temperature, and monitor CPU usage, among many other parameters. Once you start this app it stays open in the background, which you’ll see confirmed with a permanent icon in your notifications bar. Since many of the analyzed items require monitoring over a good amount of time, the fact that the active process needs almost 200MB to run is a necessary evil. Actually, a big chunk of these megas are used to run the super-interesting viewing panels with real-time info that superimpose themselves over what you see on the screen. These are perfect for checking how the device behaves while certain apps are running. CPU/GPU usage: Displays real-time graphics with the use percentage and frequency of each of the cores, as well as a global graphic with a measure of all of them. There’s also a table with the time that the device has been running in set frequency ranges. RAM consumption: Shows total RAM used by processes in graphics as well as in specific values. You can also see its PID, CPU usage, and any network data transfers being carried out. Temperatures: Measures device temperature readings from the various different device sensors, as well as battery temperature, charge, and health based on the total charge percentage. Data transfer: Displays a real-time graphic with the upload and download transfer rate along with the max peaks for each, as well as total data sent and received since the monitoring began. Reading and writing: Shows the real-team status and speed of reading and writing on the device’s internal storage. 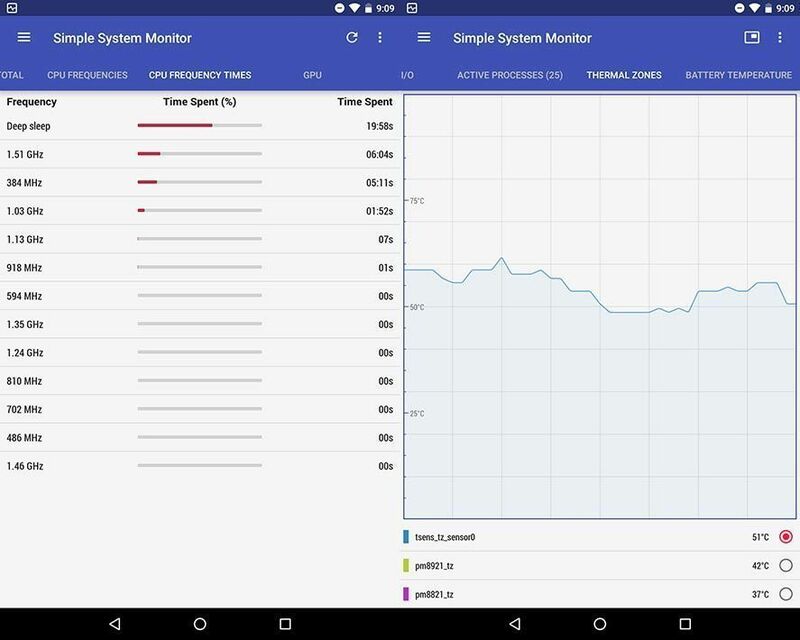 All these monitoring parameters can be configured in the settings menu, including the refresh rate for each interval, the units of measure, or the style of the graphics. As if all that weren’t enough, the app also has an app cache cleaner and a useful file explorer to browse your file tree and do basic copying, pasting, and deleting. 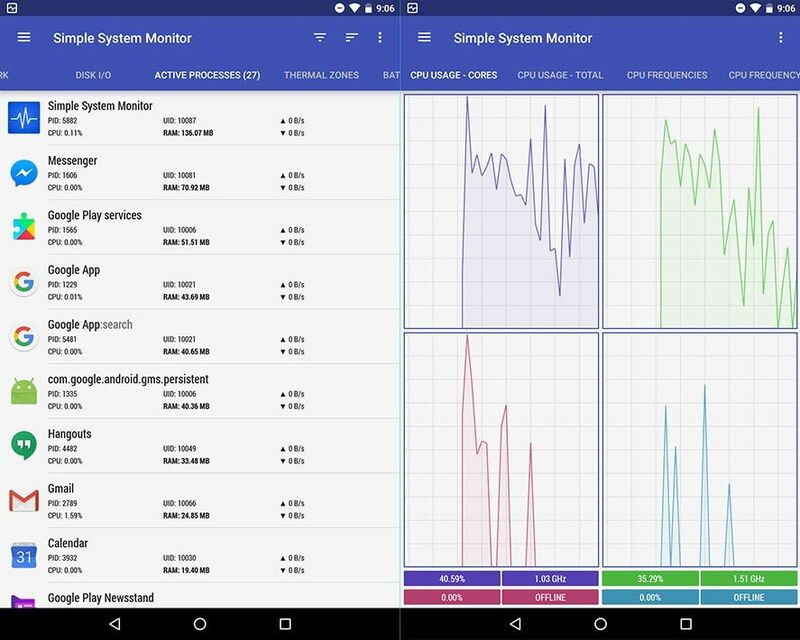 Seems like enough reason to deem Simple System Monitor an essential app to have on your Android. Next articleWhy is my smartphone so SLOW? !